Fill out the form below to book your child/children’s place in the class. Arrive at the venue 10-15 minutes before class. A uniform will be issued to your child, and give them time to change and settle in. Watch your kids start learning life changing skills whilst having fun! Our classes are in Castle Hill, Epping and Ryde. More info including schedule can be found here. Our mission is to make our students the best they can be, both in and out of the training centre. 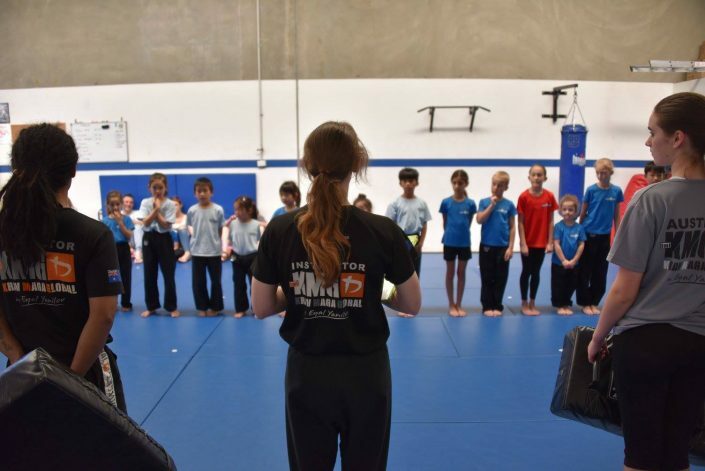 The Krav Maga Global kids system consists of realistic self-defence techniques that are effective not only against bullies, but any adult assailant as well. At the same time, Krav Maga teaches children when it is and is not appropriate to use these techniques. Krav Junior is different. It’s a lot more game based as their attention span is completely different to the adults. With children, you turn it into games and when they are one on one that’s your teaching opportunity. It’s a lot more fast paced. The training is modified to address real danger and conflict situations that children and teens are more likely to face. the ability to take care of themselves. These are invaluable skills that will benefit children for the rest of their lives. Class Differences between kids and junior group? 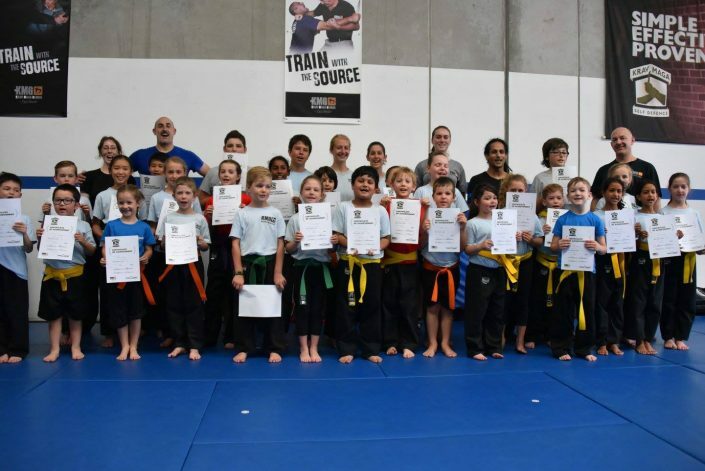 All our Krav Junior classes will include warm-up, learning games, and structured striking or defensive technique training. With younger age groups, we focus on using learning games as the key training tool, to help them absorb techniques better in a fun way. Older kids and teens will access a larger number of scenarios and situations relevant to their daily lives. 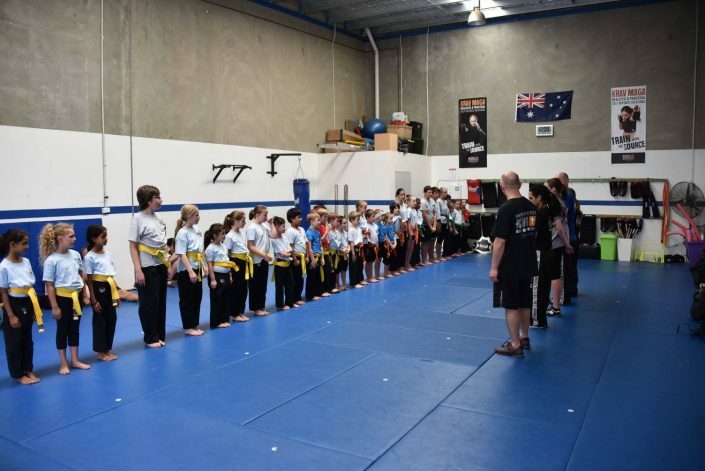 Click here to read about why we teach Krav Maga to kids and teenagers. 14 day trial available. Free uniform included. How many children are you enrolling into Krav Maga Kids? As students progress and get older, the program follows their development into adulthood. development of gross motor skills. improve strength, endurance and coordination. 14 days of unlimited kids classes. Exclusive for new students only. One kids class per week. Do you have levels and testing for children like in your adult classes? To qualify for each grading level, students must attend a minimum number of training hours (this varies based on local school schedule), and be able to perform the techniques proficiently. 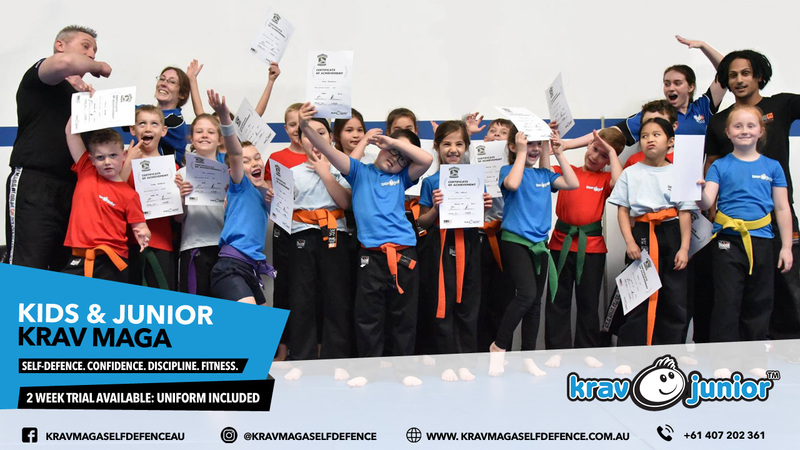 Krav Junior instructors will be able to assess if a child is ready to take an exam. We highly encourage kids and teens to go for the exams. Goal-setting is very important at a young age, and each rank achieved builds confidence and self-esteem in children. We at KMG understand that working towards a goal and having a real sense of accomplishment is also very important for character building and personal development that will carry on to later in life. How is Krav Maga different from other martial arts? Unlike karate, taekwondo, muay thai, boxing, or other martial arts and combat sports, Krav Maga is not a sport, nor is it for competition or performance. Krav Maga is first and foremost a system of self-defense, designed to prevent, avoid, or escape conflict situations. All our techniques and tactics are practical, straightforward, and designed to be as easy to start learning and apply for the average person. This is the same for our kids and teens curriculum. 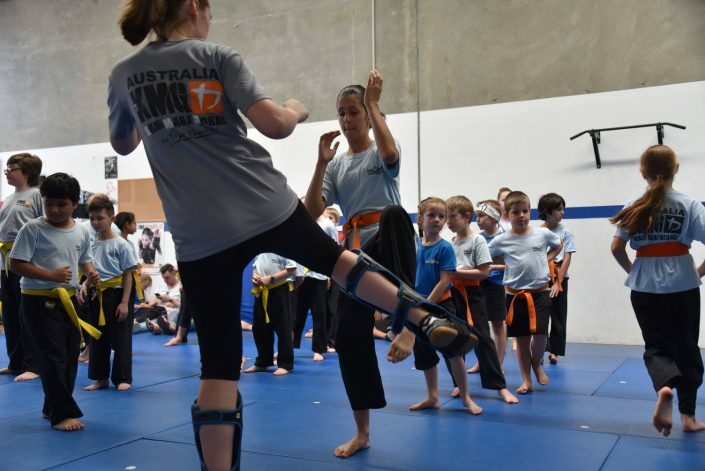 How long will it take for my child to be able to use what they learn in Krav Maga? 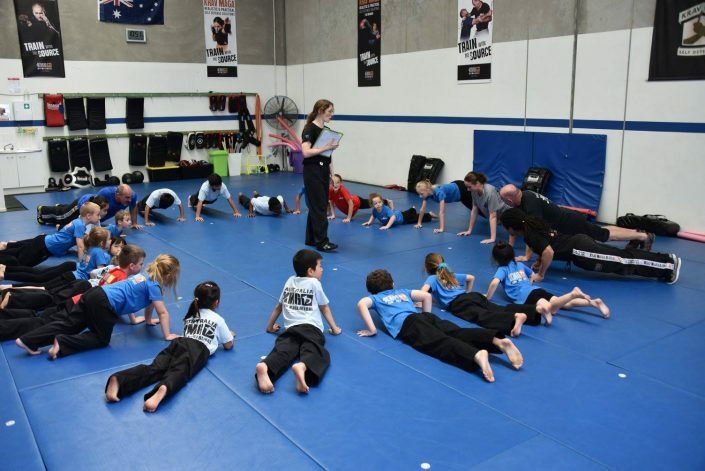 Krav Maga is designed to be easy to pick up and immediately apply, especially for children. The teaching is quite direct, and techniques and theory are all given in context. In addition, children tend to pick up new knowledge and skills faster than adults, and they tend to retain it longer if they practice regularly at a young age. How safe is Krav Maga? Does my child risk getting hurt? We understand your concern. Whilst all sports and activities bears a risk of injury, our qualified instructors teach your child to follow directions and mind the safety rules to minimise chances of injury. Class times listed below are below each respective location. Kids & Juniors classes only run during the school term.